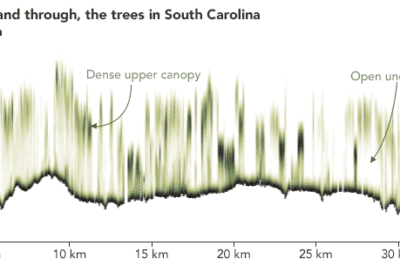 Mapping the distribution of tree species can be a slow and laborious process. This is particularly true in the biodiverse Amazonian forests where reaching canopy species is physically challenging and expensive. 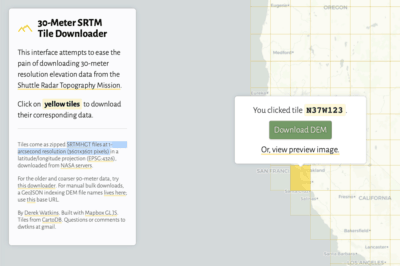 Species distributions maps that have been created are typically produced at a low spatial resolution, making it impossible to use them for conservation and forestry management. 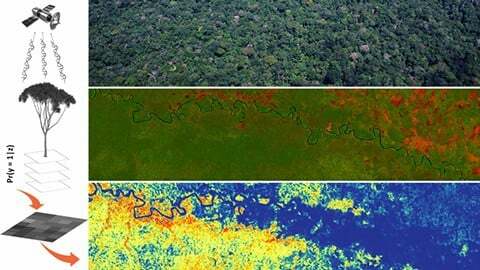 Researchers at the University of Turku have a developed a method of modeling tree species distribution in Peruvian lowland Amazonia using satellite imagery and machine learning techniques in order to produce higher resolution habitat suitability maps. 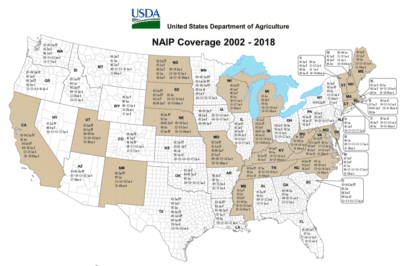 The study, recently published in the journal Biotropica, used two freely available satellite imagery sources. Landsat imagery was used to identify variation in vegetation while ASTER data was used to collect elevation data. Both satellite data sources register sunlight that is reflected from the ground surface or forest canopy in different wavelength bands. The authors of the study note that past studies have shown that combining elevation data with remotely sensed data from satellite imagery can be successfully used to differentiate plant species composition in the Amazon forest. The researchers of this current study used remotely sensed data and a maximum entropy algorithm (MaxEnt) to predict habitat suitability at 30-meter resolution for five timber tree genera (Apuleia, Amburana, Crepidospermum, Dipteryx, and Manilkara). By combining remotely sensed data with machine learning, researchers were able to produce a map modeling the potential distribution of tree species in lowland Amazonia. How species distribution models are made. The satellite (top left) registers sunlight reflected by individual trees (middle left) and the forest canopy in general (top right). Reflectance differences can be visualised in a simple colour composite (middle right; forests in green, deforestated areas in red). The machine learning algorithms convert the spectral information from the localities where individual trees of a species have been observed to a map of predicted habitat suitability (bottom; blue represents low and red high suitability). Image: Pablo Pérez Chaves. Pérez Chaves, P., Ruokolainen, K. & Tuomisto, H. 2018. Using remote sensing to model tree species distribution in Peruvian lowland Amazonia. Biotropica.